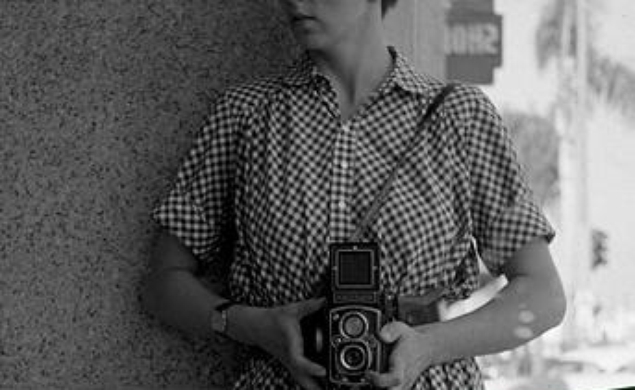 Yesterday, Scott Tobias gave a three-and-a-half-star review to Finding Vivian Maier, John Maloof and Charlie Siskel’s documentary about a mysterious woman who worked as a nanny in the Chicago area for years, and left behind hundreds of thousands of stunning photographs of ordinary people when she died. Over the past few years, these photos, found by chance and auctioned off by a junk dealer who bought Maier’s old storage locker, have become a controversial sensation in the art world. Scott praised Maloof and Siskel’s film for its exploration of the larger question of who Maier was, but wished it dealt more honestly with the debate over whether her work has value, and if so, whether it’s being properly and respectfully curated. Jill Nichols’ BBC production The Vivian Maier Mystery doesn’t dwell on the controversies either, but people who see Finding Vivian Maier—or those anxious to see it—should also watch the BBC film as a complement. (It’s available for sale or rental now through various online retailers, including iTunes, Amazon, and YouTube, presented by Filmbuff.) The Vivian Maier Mystery eschews Maloof’s first-person approach—he treats Finding Vivian Maier partly as his personal story, as one of the people who bought a big chunk of Maier’s work at the original auction. (Mystery includes no interviews with Maloof, who understandably declined to participate in a film set up as a rival to his own.) Nichols and producer Alan Yentob go the more conventional narrator-and-talking-heads route, with a muted tone suited to public television. But they tell the story well, in less than an hour, with some pictures and interview subjects not in the Maloof/Siskel film. And it’s such a great story, about a woman who knew a lot of people in her life, even though her peers growing up, her employers in Chicago, and the kids she took care of all barely knew her as anything other than a quirky individual who valued her privacy and had dark mood swings. The Vivian Maier Mystery takes its title seriously, having some of the art historian and critics who’ve taken an interest in Maier’s work use her pictures to help piece her life together. A lot of Maier’s photography captured life on the streets of Chicago in the mid-20th century, but she also took self-portraits, and pictures of the people she worked for, which means that each intact roll of film is like a photo-play of how one feisty, independent woman spent her days. She kept to herself, but in death, she’s become the property of art-lovers and amateur detectives everywhere.